The front desk staff were friendly especially when I asked to have my room changed due to the strong smell of cigarettes. The lobby smelt like pee. One of the guest stated she was getting her money back because the room was nasty and they had to slept in there clothes and was scared to shower so we let. She was not the only one that gave me a review. Another guest said run far away. The overall when I first got there it was cool. The bed is comfortable and breakfast was good. Nothing....gross hotel with questionable samitation Chose to leave when saw the room. Staff was friendly , rates reasonable and the breakfast was very good . Breakfast would have been a better experience if the lighting was sufficient. Ridiculously dark in the serving area. The breakfast was good. The hours for breakfast were great for my family and I because we sleep in late sometimes. The checkout time is great also, you don't have to rush to leave. 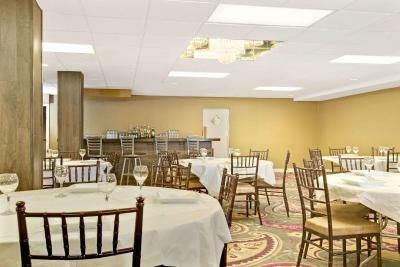 The staff is pleasant and the location is easy to get to. 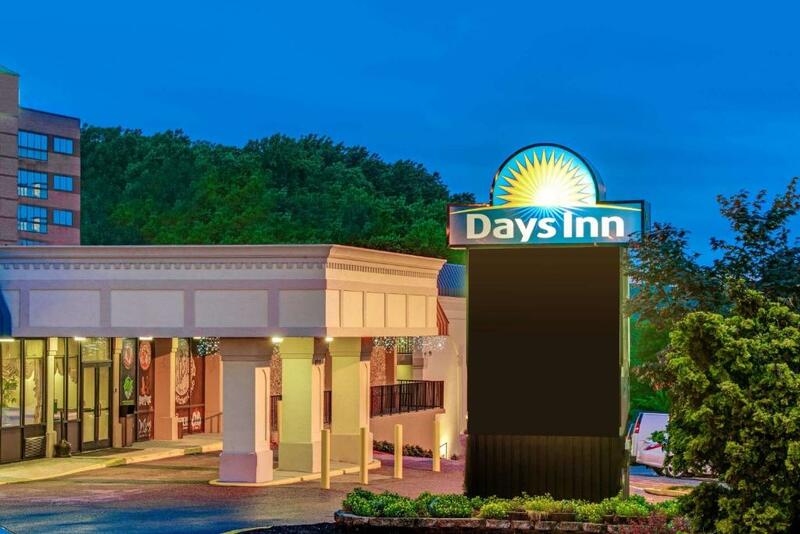 Days Inn by Wyndham Towson This rating is a reflection of how the property compares to the industry standard when it comes to price, facilities and services available. It's based on a self-evaluation by the property. Use this rating to help choose your stay! This Towson, Maryland hotel is located just off Interstate 695 and features an outdoor pool and an on-site restaurant. Towson University and Goucher College are both within 4 miles away. 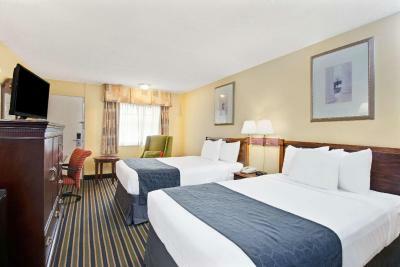 Each guest room at the Days Inn by Wyndham Towson features cable TV, a microwave, and a refrigerator. They also offer tea/coffee-making facilities and a desk. 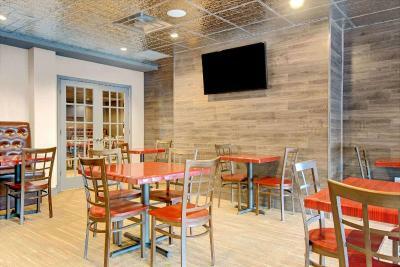 Guests at the Days Inn by Wyndham Towson can dine at Mango Manny’s, the on-site sports bar and restaurant. 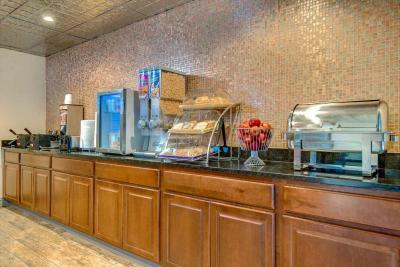 Continental breakfast is served every morning in the hotel lobby. 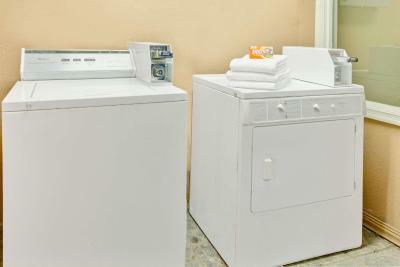 A fitness center and laundry facilities are available at the Days Inn by Wyndham Towson. The front desk is open 24-hours. Baltimore’s Inner Harbor is 16 miles from the hotel. The National Aquarium is 25 minutes’ drive away. 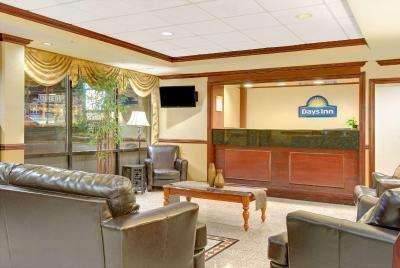 When would you like to stay at Days Inn by Wyndham Towson? This double room features a private entrance, tea/coffee maker and air conditioning. 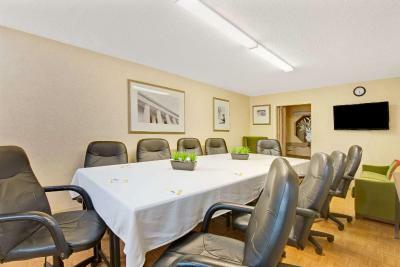 This family room has a private entrance, air conditioning and microwave. 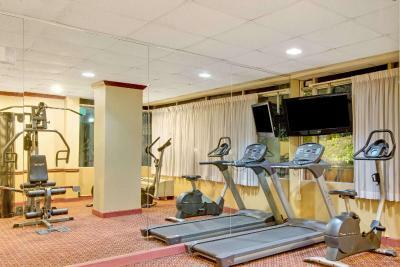 This triple room features a tea/coffee maker, private entrance and air conditioning. 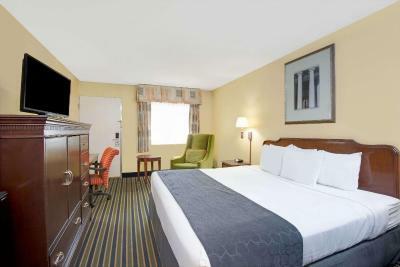 This triple room has a tea/coffee maker, air conditioning and private entrance. This quadruple room features a private entrance, microwave and tea/coffee maker. This quadruple room has a microwave, air conditioning and flat-screen TV. 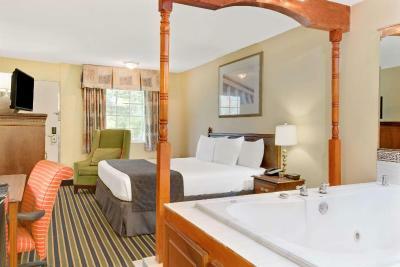 This suite features a hot tub, tea/coffee maker and private entrance. 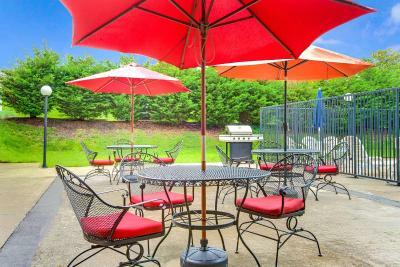 This family room features a private entrance, tea/coffee maker and air conditioning. This triple room has air conditioning, tea/coffee maker and microwave. 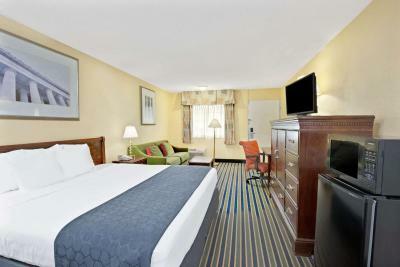 House Rules Days Inn by Wyndham Towson takes special requests – add in the next step! 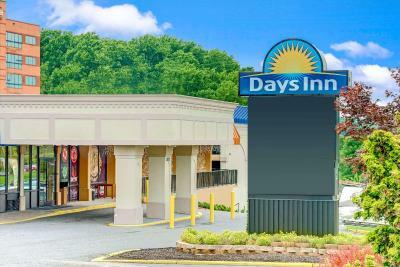 Days Inn by Wyndham Towson accepts these cards and reserves the right to temporarily hold an amount prior to arrival. They overcharged me 72.92 $ and I don't know why they overcharged me. And I have been calling them and every day they are telling me call tomorrow the finance person is not here. Another thing I woke up with a itchy bite. The room was dirty there was blood on the carpet. 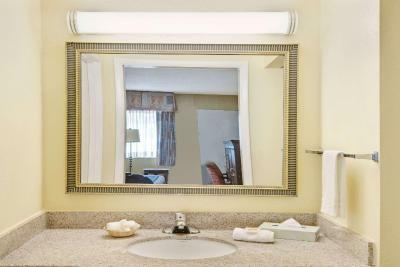 No clean towels or washcloths in the room. The ice bucket had hair in it. There was a huge hole in the bathroom door. Sheets were dingy. The jacuzzi was filthy green stuff came out of the jets. The tv had 6 channels the outlets only worked by the bed. Horrible experience i will NEVER stay at this location or another days inn for that matter. The first room we were given reeked of cigarettes.. front desk changed it to 2 doors down and although that room didn’t smell it was dirty. The ceiling had water stained that molded..the bath tub had mold stains, the towels were dingy looking.. the air conditioning unit has dirt and dust all over it. The bathroom door was peeling looked like a door out of a jail cell. The bed sheets looked dingy I had my kids sleep in full clothing until the morning and immediately checked out!! The last time I stayed it was in the non-smoking jacuzzi room and it was terrible. They never changed the sheets while I was there, the jacuzzi jets didn't even work, nor get hot upon expecting, and it was super cold in the room the heater didn't work. It was broke. Outside and inside were in marginal condition e. g. Paint was peeling and the carpets looked like they needed a more thorough cleaning .